The plan is to first spend 7 nights taking in the big city and salsa capital, Havana. We will explore the salsa scene in depth (parties, concerts, local dance clubs, and more), meet locals, and take in the architectural splendor that is Havana. Then, we all fly all the way across the country to arrive in one of the most isolated regions of the island - the very quaint and charming Baracoa - Cuba's first settlement and its first capital. Baracoa is much more laid back than Havana and Santiago and has its own music & dance culture. But the main attraction here is seeing its most abundant natural beauty, considered among the very best on the island, which we will explore extensively during our three and a half days there. Click here to read a good article about this area. Finally, we all take a relaxed ride in our own bus, with a handful of short stops along the way, seeing gorgeous countryside, coast, and mountains to finally arrive at Santiago de Cuba. In our final destination, Santiago, we have 7 nights in this more provincial setting, which is known as the cultural capital of Cuba. "Son" music, the root of all salsa music (e.g., Buena Vista Social Club) is from here, and you will live and breathe it during our stay here. 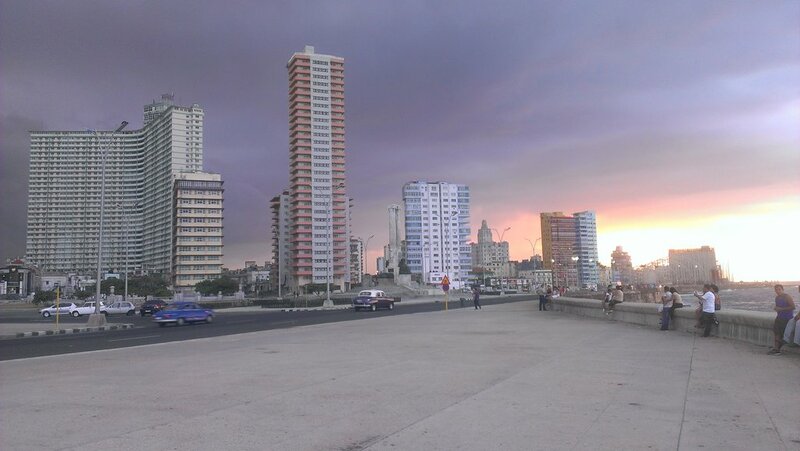 Havana has more striking city sights, is close to spectacular beaches, and has internationally famous salsa bands playing live every night. Santiago is more compact with a somewhat laid-back smaller-town feel even though its Cuba's second largest city. It is very easy to get around on foot, and has numerous easily accessible and wonderful music & dance experiences. Baracoa is its own small world, and provides us a chance to completely disconnect from the hustle and bustle of the cities, relax and connect with a variety of gorgeous nature. * What's the deal with the choice of return date? If your schedule dictates that you need to return home on Sunday, then you have that option and will have still experienced a very good 5-night stay in Santiago. However, if your schedule allows you to be away from home for another 2 days, then I highly recommend it. Most people have ended up very much wanting to stay longer in Santiago to just hang out and to more fully experience the array of stuff to see and do there. In addition, the package price will be only $60 extra total for these two additional days. Option #1. Full trip: Leave Saturday, November 23rd(*) and return Sunday, December 8th or Tuesday, December 10th. I do recommend this first and longer option, as you will get to experience so much of what Cuba has to offer. Each place is so different, and seeing them all will provide a much more balanced & complete view of Cuba. Option #2. Havana only: Leave Saturday, November 23rd(*) and return Sunday, Sunday, December 1st. The main destination in a visit to Cuba, Havana, the capital of Cuba, has the most access to music & dance events along with offering so much more to see. You will leave with getting an extremely good view of the culture of Cuba. Option #3. Baracoa & Santiago only: Leave Friday, November 29th, and return Sunday, Dec. 8th or Tuesday, Dec. 10th. Santiago and Baracoa are such special places. You will bond with the cities and their people. Recommended especially for those who strongly prefer smaller cities/towns, or perhaps for those who previously visited Havana but haven't yet explored other parts of the country. * Depending on where you are coming from and how early you are willing to get up, you should be able to arrive to Havana the same day and thus leave on Saturday, November 23rd. Otherwise, you might need to leave the afternoon before, spent the night in either Miami, Ft. Lauderdale, Atlanta, or Houston, and then fly to Havana the following morning/early afternoon. The Application Form is at bottom of this page. The group size will be limited to 16 or so travelers. Please note that this will be run as a "semi-boutique" tour, meaning that the group size will kept on the small side, each member of the trip will receive individual attention, and the tour can be somewhat customized to your desires & interests. In addition, we are staying in upscale accommodations, but as a home-stay, not in a hotel. The group will be able to move around more efficiently and do more than a larger group could. This way we can all achieve my goal of making sure that each person has an amazing experience. Flight from your home airport to Havana, Cuba. One-way domestic flight from Havana to Baracoa. Very comfortable bus transfer from Baracoa to Santiago de Cuba. Flight back to your home airport. All airport transfers in Cuba. One night in a hotel in the connecting city such as Miami if an overnight stay is necessary. Cuban tourist visa, departure tax, medical insurance, educational people-to-people license. Every night at a fancy B&B in Havana, Santiago and Baracoa with a private room, AC, and bathroom. Chauffeur-driven cars available in Havana for the group every day & night to take us wherever we need to go. Welcome dinner & dance parties at our Cuban dance schools - one in Havana, one in Santiago. Ten nights out dancing in authentic Cuban nightclubs. This includes going out to the best-known clubs of Havana and Santiago to hear and dance to live famous international acts. In Havana, groups such as Maikel Blanco, Los Van Van, Havana De Primera, Pupy y Los Que Son Son, Manolito Simonet, Elito Revé, etc In Santiago, groups such as the grammy-award winners, Septeto Santiaguero, and numerous other high-caliber son bands. For many of our nights out dancing, we will have along with us a group of our instructors and Cuban dance partners to dance and hang out with us all night long. Visit to rehearsal of a famous salsa band with a private performance and interactive lecture about Cuban music. Visit to "El Morro" and other famous sites in the area of Santiago de Cuba. Two day tours of the region around Baracoa with an expert local guide. This will include visiting an organic cacao farm, a canoe ride and walk in the famous "Boca de Yumurí", visiting local musicians, a local beach, all while driving through the beautiful countryside. All above mentioned prices are for Havana. For Santiago and Baracoa, prices are generally about one third less. Excess baggage fees for airplane flights: One free checked bag is included on all flights, plus a carry-on. The price for the Havana-only trip is $2,900 (double occupancy), $3,050 (single occupancy). The price for the Santiago & Baracoa-only trip is $2,900 (double occupancy), $3,050 (single occupancy). Upgraded room with ocean view: additional cost of $10 per night. Deluxe room in penthouse apartment: additional cost of $15 per night. Spectacular room in penthouse with king-size bed with total ocean view: additional cost of $35 per night. These prices are per room, not per person. So if you are doing double occupancy, then the additional cost is only half that per person. We also have some options for some upgraded rooms in Santiago and Baracoa for $5 per night. Another $1,000 due on September 1st. The remainder of the total trip cost minus $500 due on November 1st. Final $500 due upon arrival in Cuba. Eric has been traveling to Cuba since 1995. He has traveled there 24 times, and spent a total of over 27 months there. He has studied dance there extensively and has developed numerous connections over the years. Join him to explore and experience the amazing things Cuba has to offer. 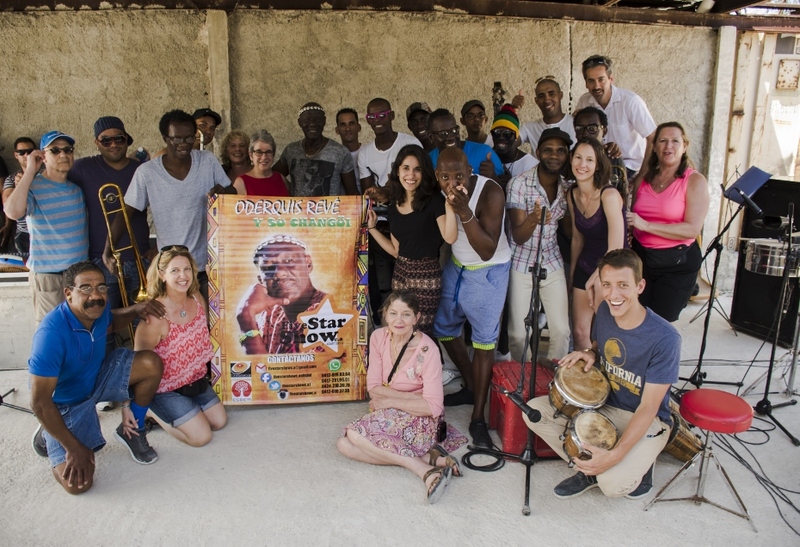 The focus of the trip will be dancing and music, but the tour includes exploring Cuba's history, architecture, beaches, and their fascinating people. 2. Would you like single or double occupancy? If double occupancy, tell me the number of beds needed and the name of the person you are sharing a room with. For example if you live in Boulder, CO, then normally DIA (Denver) would be the airport for both leaving and returning. If you want to return to a different airport, or perhaps stay in Miami on your own for a few extra days on the way back, please indicate this. 6. Do you have Facebook? We tend to use Facebook for group communications (mostly before the trip), but this is not at all required. 7. Fill in the info below as it appears on your passport. 11. Do you have any physical and/or psychological issues that could impede your ability to successfully participate in this trip? 12. This tour will involve walking a total of 1-3 miles per day. This may be in, depending on the weather, somewhat hot, humid conditions. Are you able to do this while maintaining an average moderate pace? In addition, we will be doing (on about 8 days) 2 to 3 hours a day of dance lessons in well-ventilated, but non-airconditioned rooms. In most evenings we will be going out dancing for 2-3 hours. All activities are optional. If you are tired at any point, you can always opt-out and go back to your room to relax, rest, etc. 13. You will need to sign a fairly standard liability waiver to sign which will be delivered to you upon accepting of your application. 14. From time to time you will be asked for your input on some aspect of planning the trip. You will sometimes be asked to respond in as little as 24-48 hours. (Examples include RSVP'ing to a proposed group orientation meeting time, and getting your go ahead in purchasing specific airline flights.) I will need your timely response in order to help effectively plan the trip. Do you agree to do your best to respond in a timely-manner? 16. Please list any dietary restrictions that could be relevant to this trip - like if you don't eat red meat, poultry, fish, dairy, etc.